You are here: Home › Dream Pools › MOLITOR HOTEL, PARIS FRANCE WE-WISH! MOLITOR HOTEL, PARIS FRANCE WE-WISH! 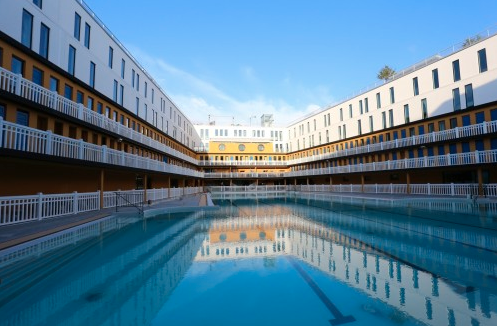 It’s not Wednesday, but we’ve added another Paris pool to our wish list! It may not be The Ritz, but it sure sounds interesting. It looks wonderful. Please tell us if you’ve been.